The long bob, better known as the ever popular “Lob” haircut, is showing up everywhere! It’s an easy, fashionable way to spruce up your locks. 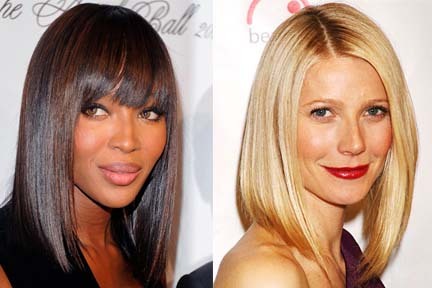 Naomi Campbell smoothed her hair and added face framing bangs, while Gweneth Paltrow used a side part to give her a sleek style. This hairstyle is so versatile it can be worn no matter your faceshape or hair texture; celebrities are making this style their own and so can you!